Maestro IV released his third album a few months ago, packaged as a double disc under the acronym S.C.A.R.S (Struggle Cope Adjust Revise Survive). 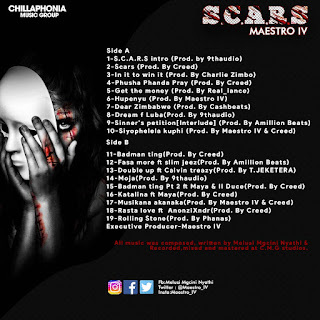 Overview: Maestro IV released his third album a few months ago, packaged as a double disc under the acronym S.C.A.R.S (Struggle Cope Adjust Revise Survive). Spekk Verdict: Having released two stellar projects which created a buzz and an album I still call one of the best Zim Hip-Hop trap albums (TopJITA 2.0) I had high hopes for S.C.A.R.S. One song that was missing from the tracklist that I thought would be there was In The Cup. Maybe there's a separate rollout intended for it as a whole remix album may be in the works. 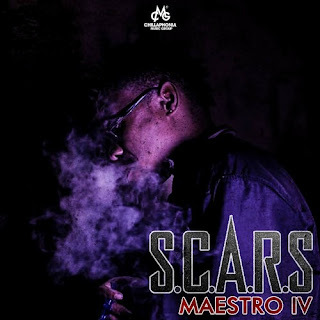 Compared to his first two full-length projects S.C.A.R.S sees a more mellow Maestro IV as is evident in the mood and content of the songs. One of my personal favourites off this album Bad Ting has the potential to do a lot of damage on the charts and I hope it gets the push that it deserves, possibly with some visuals as well and creates a name for Maestro beyond his home city. 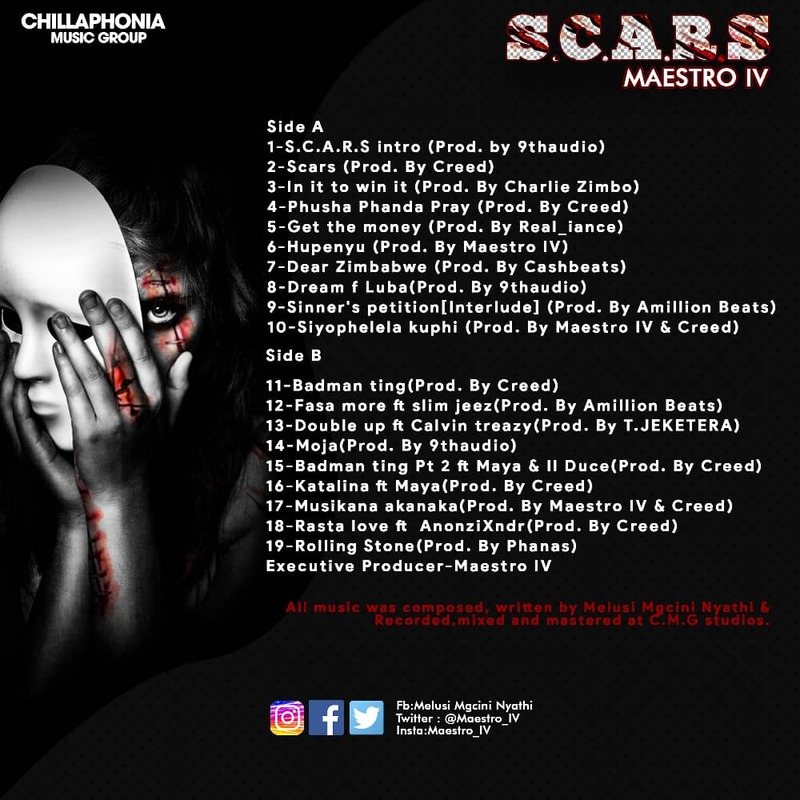 If you have never heard Maestro IV before this is a great introduction to the multilingual Bulawayo spitter who fuses English, Shona and Ndebele in an effortless way.